Parsnips in the garden!! Time to start harvesting. Carrots in the garden…all harvested, time to eat them all. 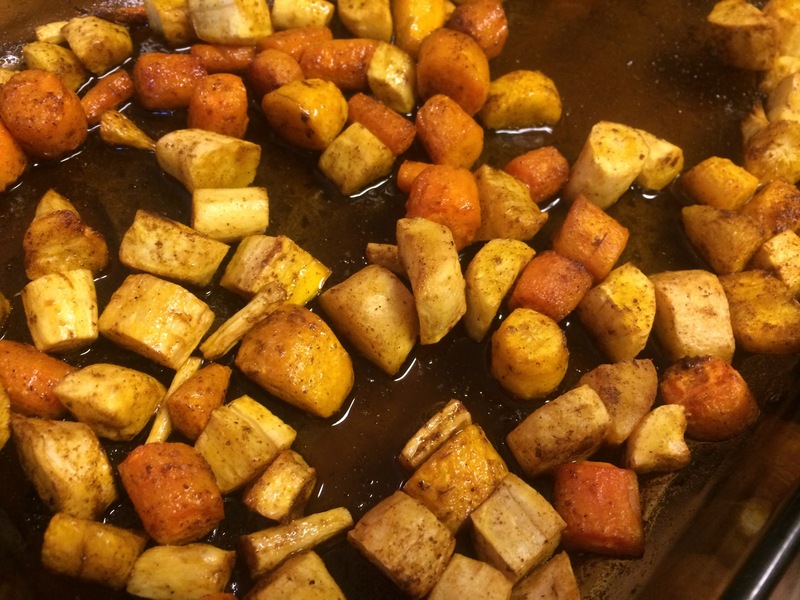 Parsnips and carrots…sounds like time to roast some veggies. 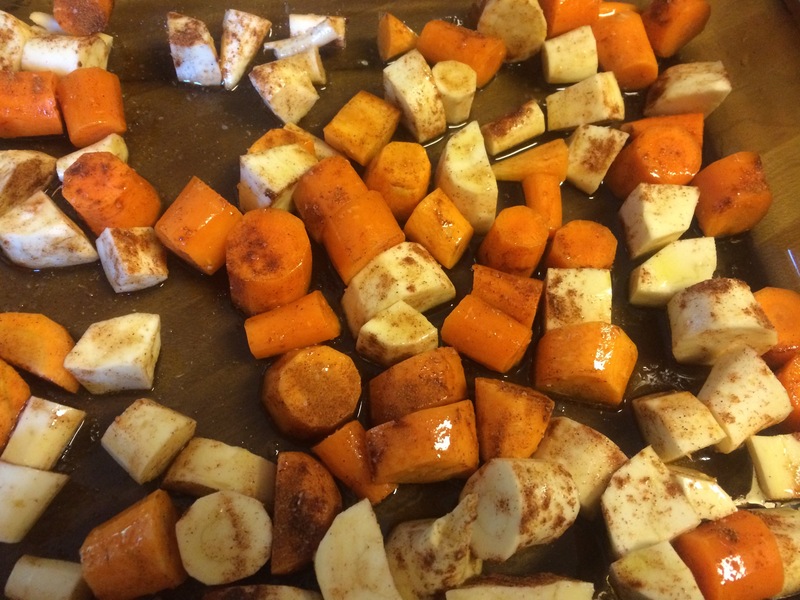 But not just roast, but add some warm spices….cumin, coriander, and paprika….finish with some lemon juice…yum. Position a rack in the center of the oven and preheat to 375F. 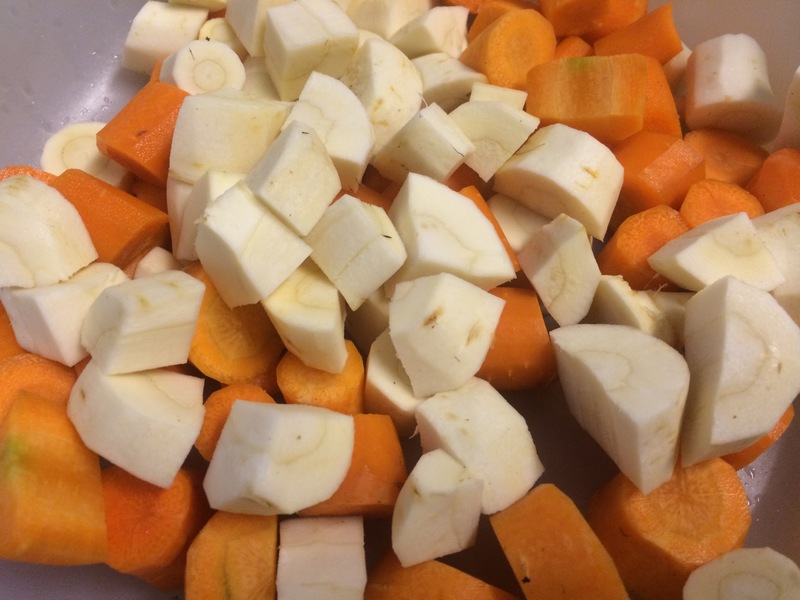 Peel the parsnips and carrots and cut each into 1″ pieces crosswise, then cut thicker pieces into halves or quarters to get pieces of about equal size. If the cores of the parsnips seem to tough, cut them out. Arrange in a single layer in a 9 x 13-inch baking dish. Drizzle with olive oil and toss to coat evenly. Combine the cumin, coriander, paprika and salt in a small bowl and stir to mix. Sprinkle the spice mix evenly over the vegetables and toss until well coated. Roast until completely tender and lightly browned on the edges, 40 – 60 minutes stirring once or twice while cooking. Sprinkle with lemon juice and toss well. Taste and adjust seasoning. Serve and enjoy!